This Airship resembles the glorious airships of the past. These sky behemoths dominated the skies at the beginning of 1900 for nearly 40 years, and they are still the largest objects ever to fly. The age of these fascinating airships came to an end in a few fiery minutes with the Hindenburg disaster on May 6, 1937 at Lakehurst, New Jersey. 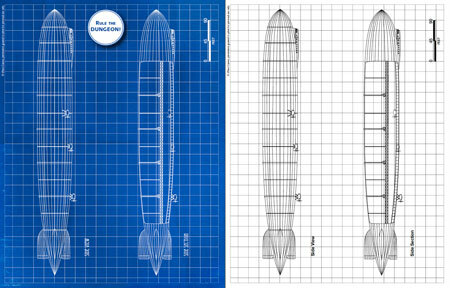 In this Blueprint you will find a 800ft long airship complete with its gondola deckplans, sections, front and side views. 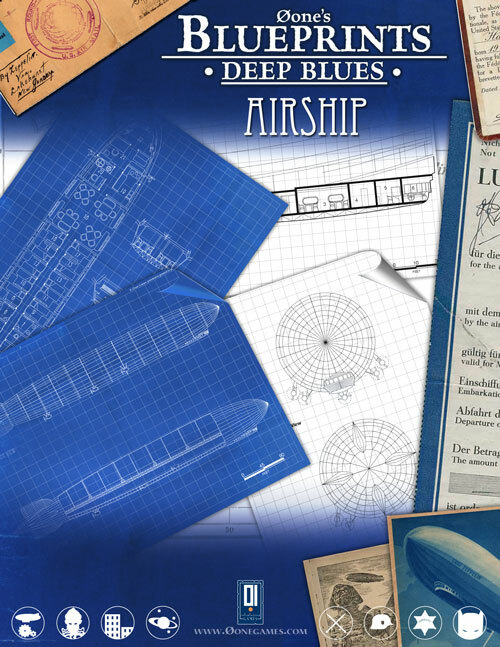 Perfect for first and second world war roleplaying games, this airship could result useful even for steampunk and retro-sci-fi games. The “Blue” version of these map does not resemble old D&D maps, it would not make any sense, instead, they appear as old technical blueprints (white ink on blue background), allowing you to produce cool handouts for your players or simply use a nice-looking map while running your own adventures. If you have ever thought that an airship would be a neat pla ..